I almost didn’t become a hooper because a blog post like this one did not exist in 2012. I can’t imagine what my life would be like if I had never found out that there are hula hoops for plus size people out there. Hooping has had such a hugely positive impact on my life. But when I first started researching hula hooping on the internet, all I could find was thin people hooping and hula hoops made for thin people. It was discouraging to a big girl like me. 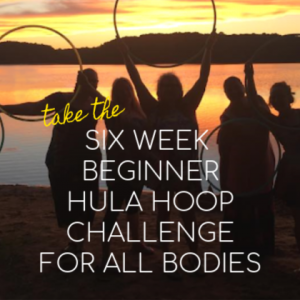 A lot of bigger people think they can’t hula hoop, but we can! And it’s soooo fun. 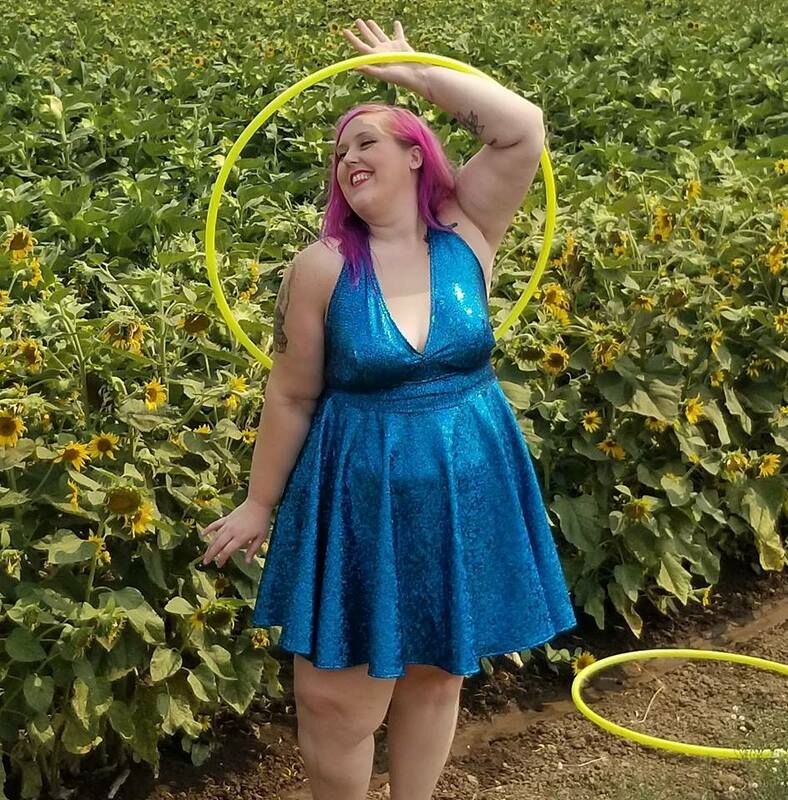 I don’t want any of you fabulously curvy ladies and gents to miss out on your own unique hula hoop journey because you can’t find any information on hula hoops for plus size people. 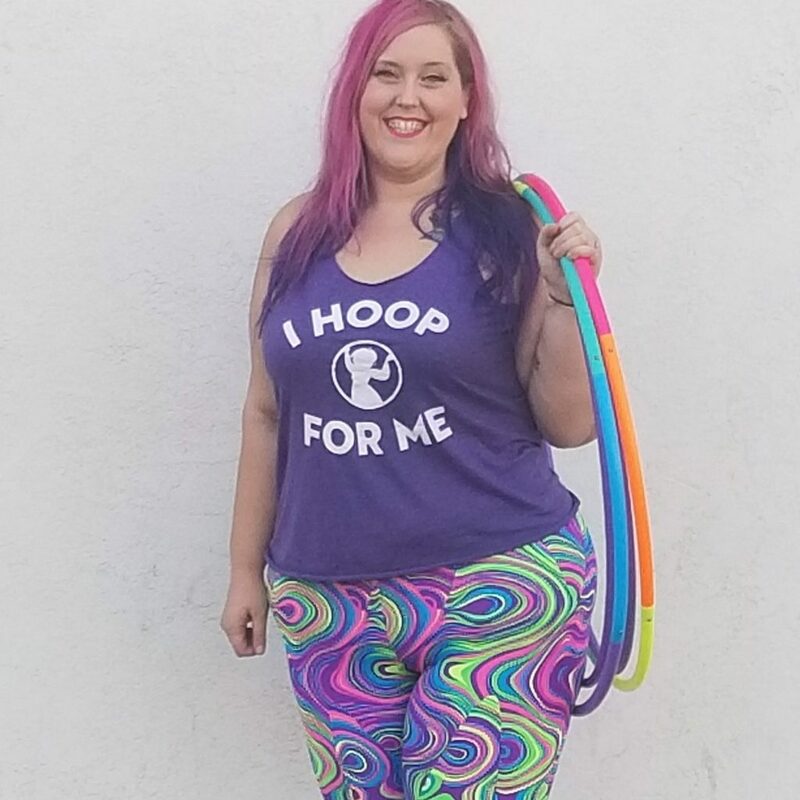 We have made it our mission to make sure there is plenty of visibility for all body types in the hula hoop community. 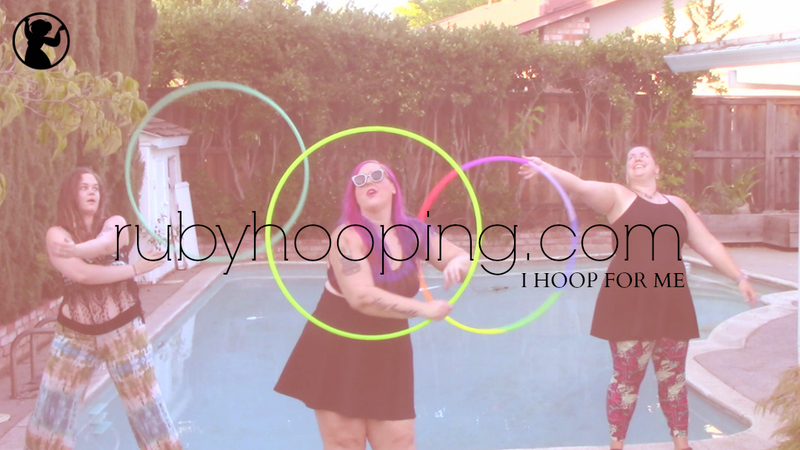 I’m about to drop all the knowledge you need to become a plus size hooping superstar. First, let’s talk about hoop size. 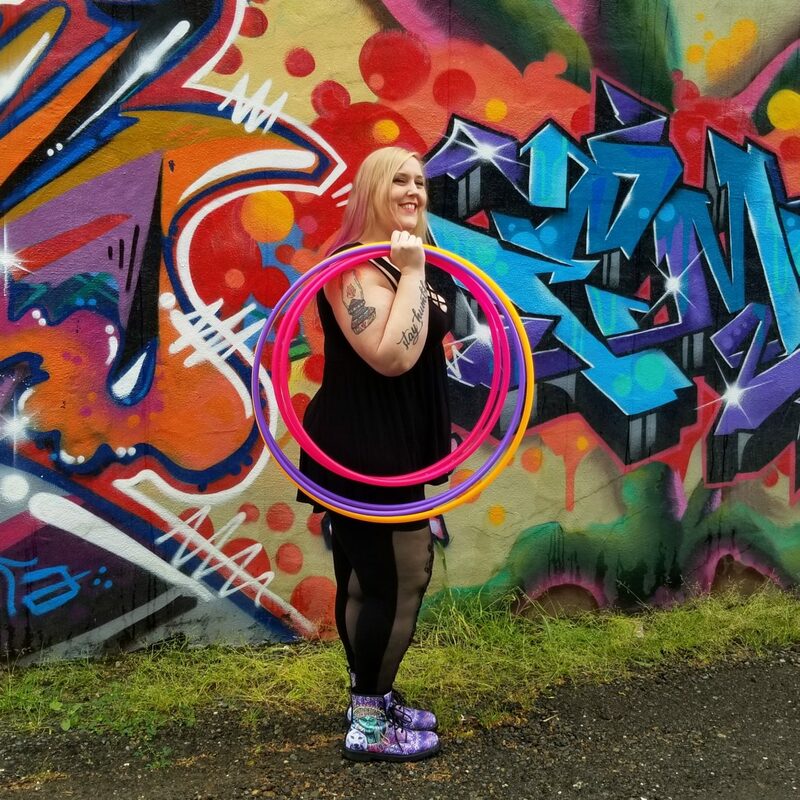 What size hula hoop is best for plus size hoopers? To some degree, that answer will vary based on your unique body, and the style of hula hooping you are interested in. But the bottom line is this: to hula hoop around your waist, bigger people need bigger hula hoops. When I started hula hooping my waist was 42″. 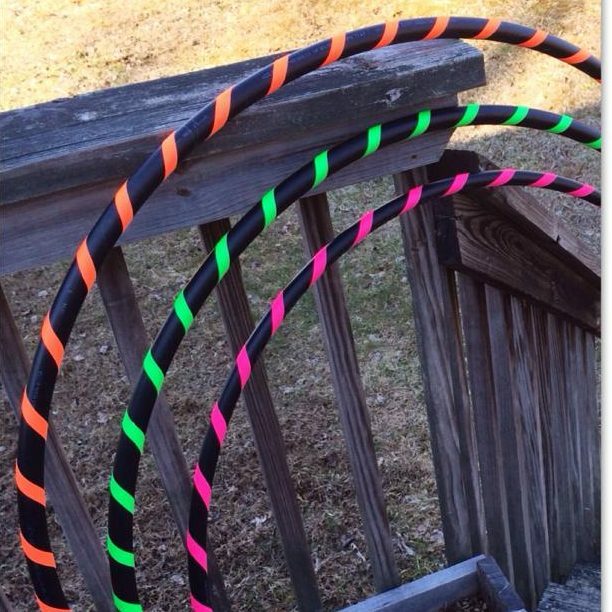 I first tried a hoop I found at my local Walmart, which are usually 34″ in diameter. That was a disaster. I don’t even think it went around my waist twice before clammering to the ground. That was definitely not what size hula hoop a plus size chick like me should be using to learn. 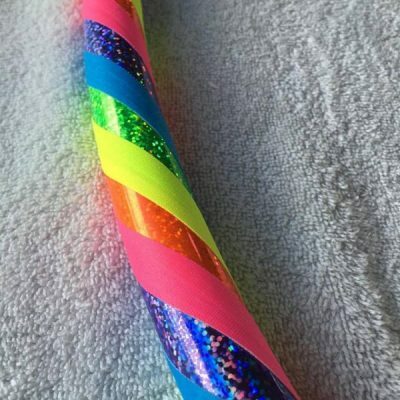 I tried various sizes after that, all the way up to 44″ – which ended up being my perfect size for starting out hula hooping. It was big enough to give my body time to respond to it. The bigger the hoop is, the more space there is between you and the hoop itself, meaning the rhythm of it going around your waist will be slower and much easier to sustain. 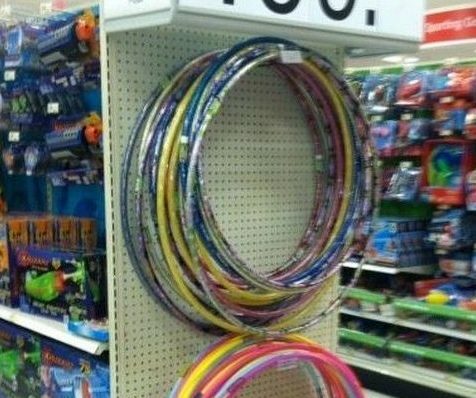 Great, but where do I find a hula hoop for a plus size person? 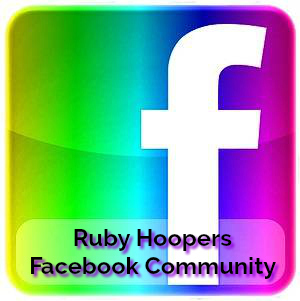 Right here at Ruby Hooping, boo. It’s so important to us to make sure everyone who wants to, regardless of size, can hula hoop. That’s why we hand-make beautiful hula hoops custom sized all the way up to 55″ diameter. 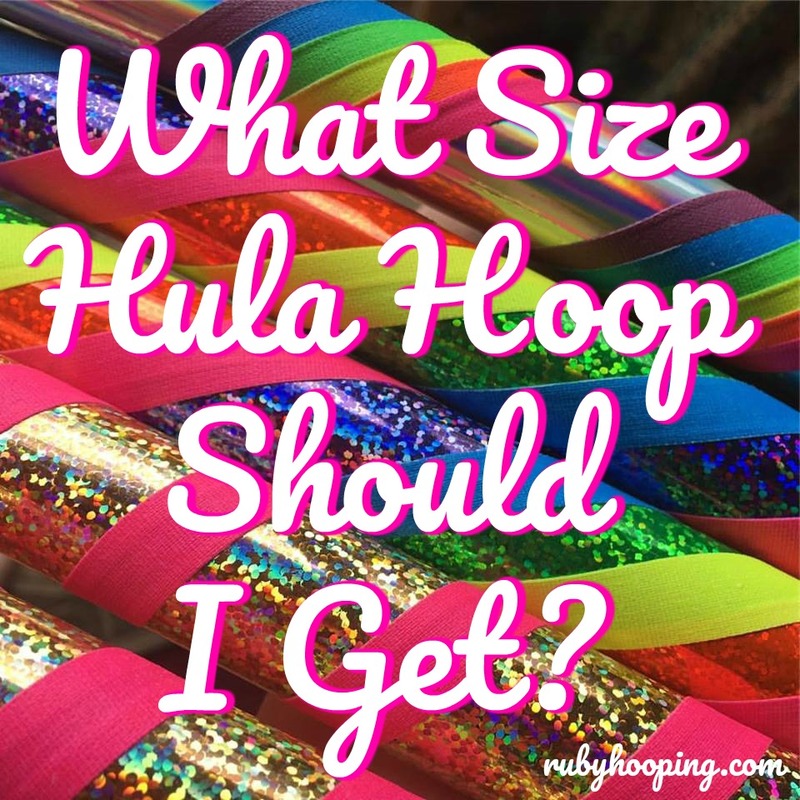 Read more about hula hoop size here: What Size Hula Hoop Should I Get? 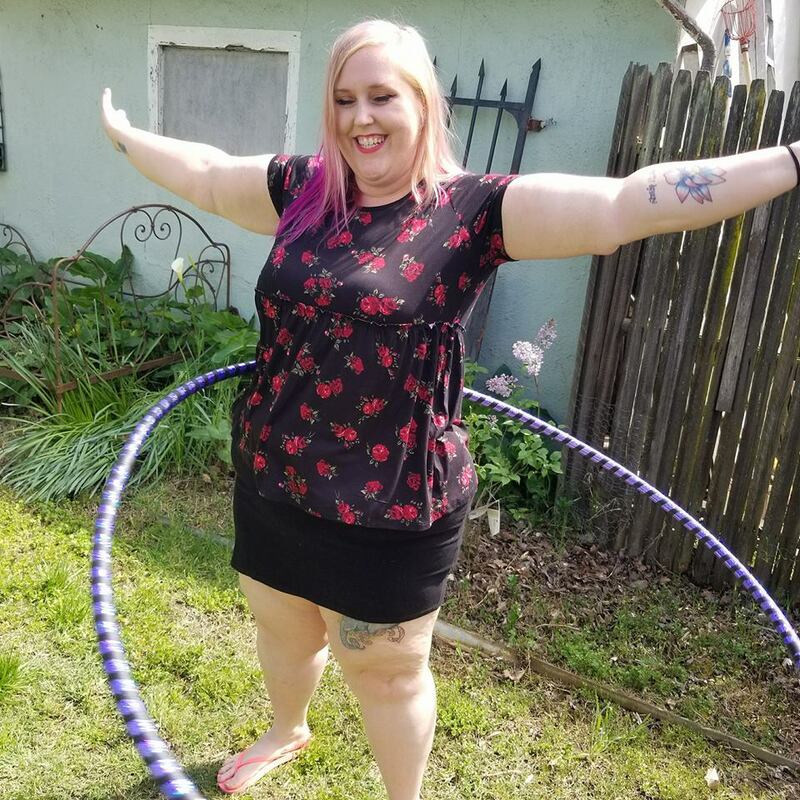 Are weighted hula hoops necessary for plus size bodies? A weighted hoop functions like a large-diameter hoop in that it also moves slower than a smaller or lighter hoop. In the same fashion as a large hoop, a weighted hoop gives your body more time to respond and react to keep the hoop from falling down. Bigger bodies tend to push the hoop harder, which can cause a lightweight hoop to wobble and bounce too much, making it difficult to learn. Let’s address what a weighted hula hoop is exactly. And that will vary depending on who you ask, but generally, a hoop that weighs more than about 12 ounces would be considered weighted by most hoopers. Our beginner hoops weigh about a pound, so they are considered weighted. We also offer a two pound option for those who prefer a little more substance. Both are excellent for beginners. Both our beginner hula hoops and our two pound “weighted” hula hoops are made with a moderately heavy tubing called polyethylene manufactured for irrigation purposes. There are no actual weights added to the hoop. One to two pounds is all the weight you need to enjoy the benefits of a weighted hula hoop. Anything heavier than that and you risk injuring internal organs and severe bruising. You can read more about this topic in our article How Heavy Should Your Hoop Be to Lose Weight Hula Hooping? There’s a lot more to hula hooping than just hooping around your body, and plus size hula hoopers should explore all of it! 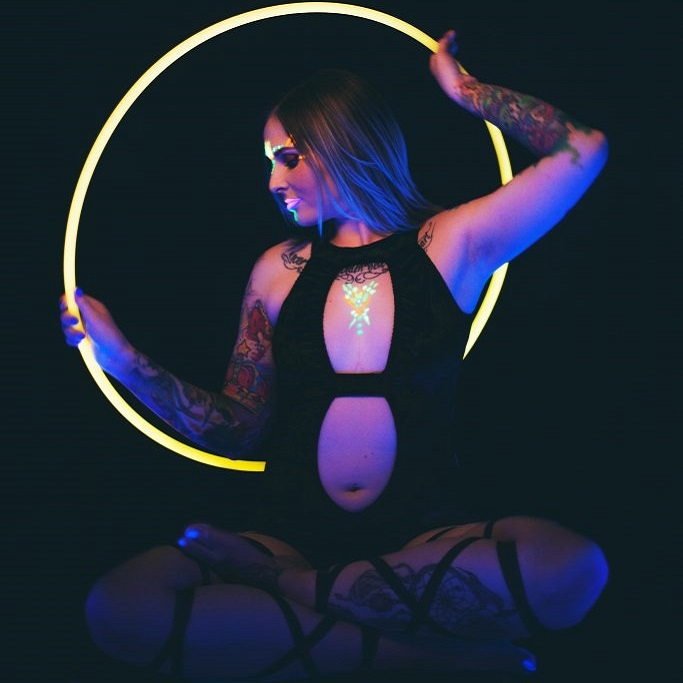 Lightweight hula hoops open up a whole new universe of dance and self expression. There are literally thousands of tricks you can learn to do with your hoop, many of which are executed with your hands and are considered off-body. When you employ this style of hoop dance, the ratio between your waist size and your hoop no longer matters. This means you can hoop with whatever size hula hoop you want no matter what size YOU are! 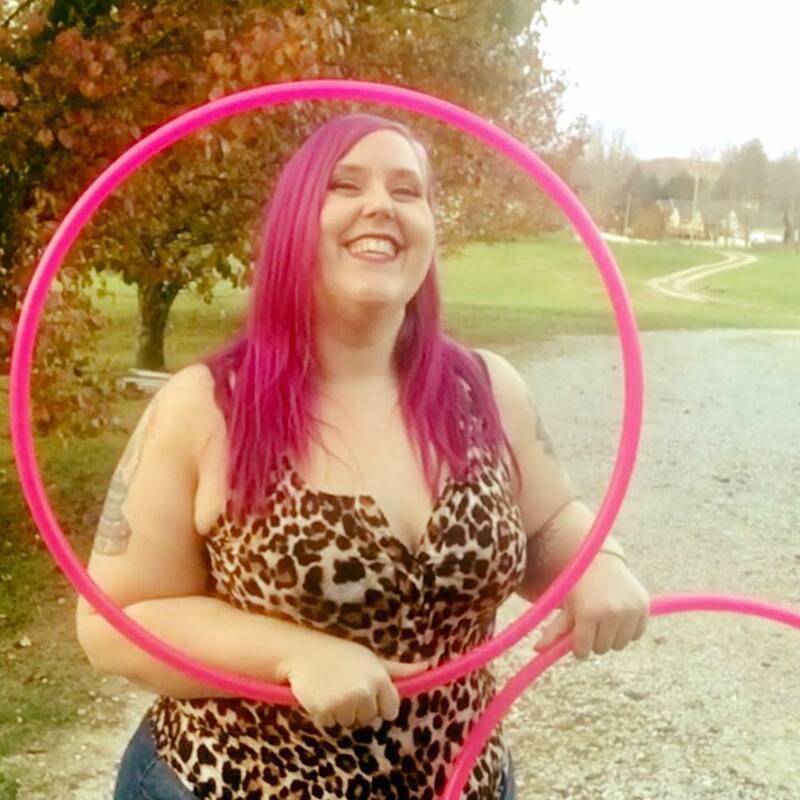 Just because you have a bodaciously curvy bod doesn’t mean you always have to use a big hoop. This is a picture of me with my favorite set of pink twins that are 25″ inches each. Yep, hula hoopers sometimes spin multiple hoops at once! 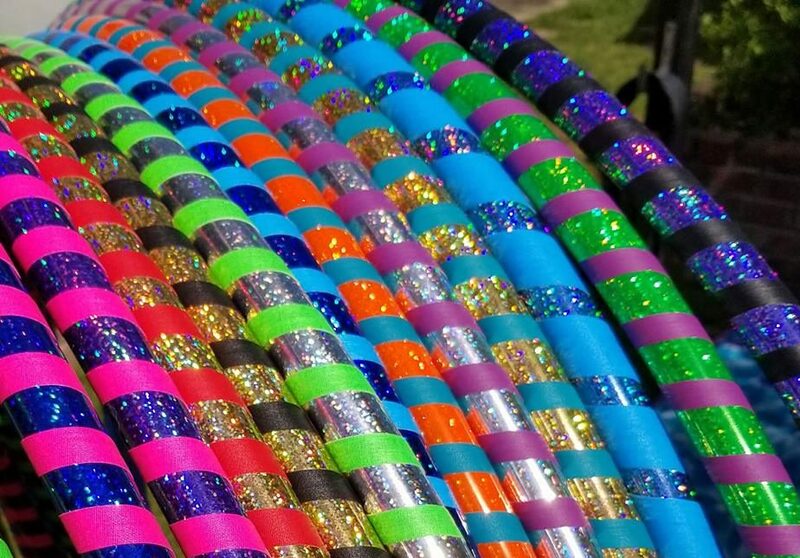 We make hula hoops in a wide variety of sizes, colors, and thicknesses. 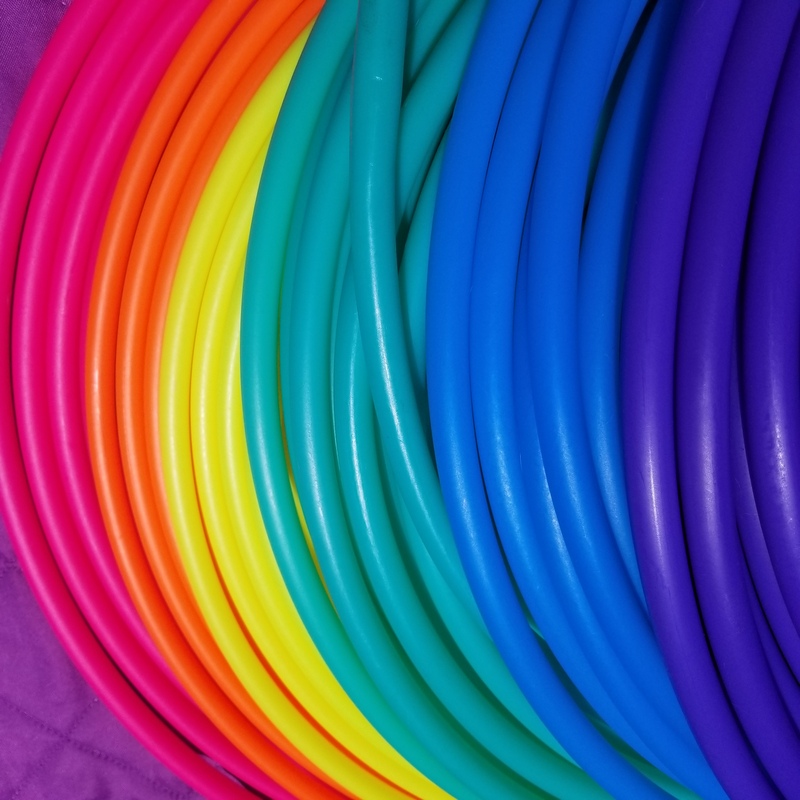 Our favorite lightweight hula hoop material is HDPE. It’s affordable, durable, vibrant, and responds especially well to plus size bodies. And it comes in a ton of gorgeous colors. Honestly the sky is the limit when it comes to hula hooping and that’s a huge part of the appeal. There is just so much room for self expression and creativity! Once you become a hooper you will begin to amass a large collection of plastic circles. You will want to try every size, and have a hoop to match all your favorite outfits. 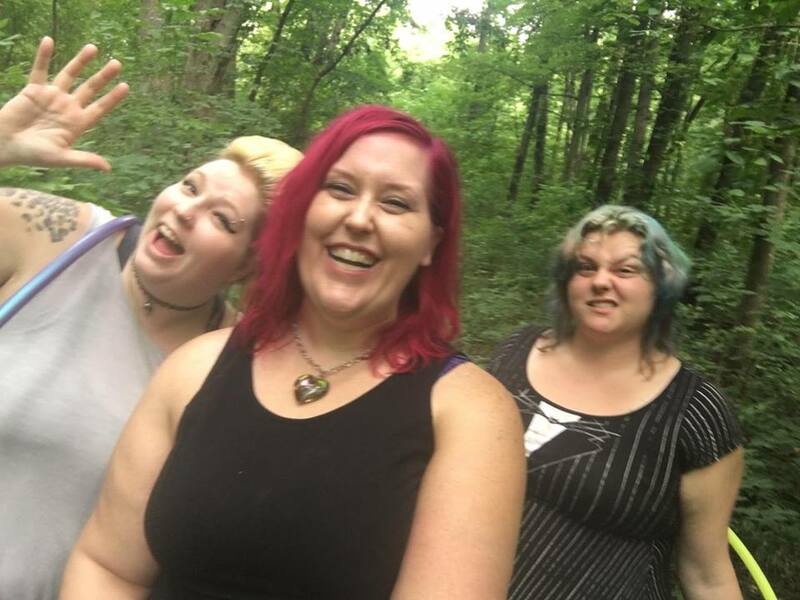 It is a never ending journey that will bring you so much happiness and fun. It can be overwhelming trying to figure out what hula hoop to get. Start with our Go Getter Starter Pack, which comes with FOUR hoops: a nice big and moderately heavy beginner hoop, a lighter weight hoop for learning off-body tricks, iand a pair of twins for learning double hula hoop tricks! 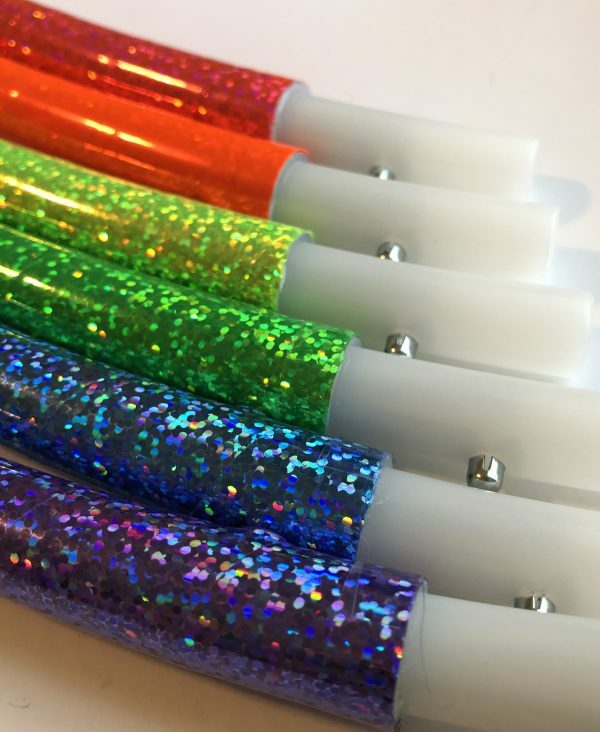 Plus we’ll make them for you in your favorite color! Always remember that your hula hoop practice is yours alone no matter what size you are or what size hoop you use. There are no rules so just do what feels good and enjoy the journey! Want to learn how to hoop from me? Can You Hula Hoop if You are Fat?